BY DUANE A. VACHON, PH.D. – When the U.S. troops retreated in 1950, the dead Marines and Soldiers who were unable to be recovered were buried near Hungnam, North Korea. Between July and November of 1954 an exchange of dead from each side – called Operation Glory – facilitated the exchange of 4,167 U.S. Soldiers and Marines for 13,528 North Koreans and Chinese. Implementation of Korean Communications Zone (KCOMZ) Operations Plan 14-54 – better known as “Operation GLORY” – was put into effect on 22 July 1954. United States Engineers furnished by the United Nations Command, Military Armistice Commission Support Group, constructed a railhead and reception area. The UN Command also provided a battalion from the 1st Signal Unit to establish signal communications. The Transportation Corps made plans for the evacuation, by rail, of all deceased military personnel on our side. The Quartermaster Corps issued all necessary supplies and materials. 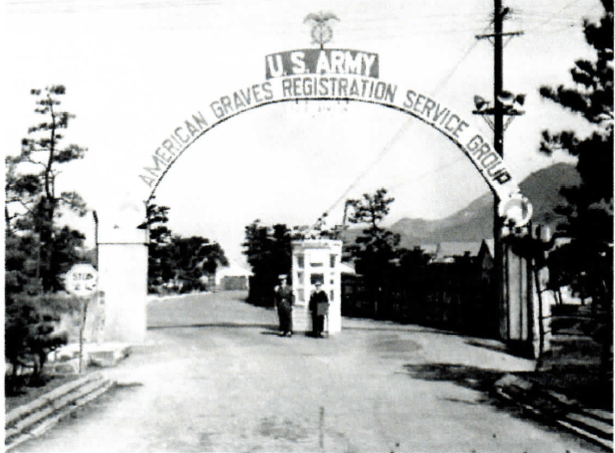 And the KCOMZ Quartermaster Graves Registration Division proceeded with the disinterment of all enemy remains of deceased military personnel interred in South Korea. In the month leading up to the actual exchange of military remains, the Quartermaster Graves Registration Committee held three additional meetings with the Communist side – to discuss the approximate number of deceased involved, examine the signatures of officers who sign receipts for the remains, and to decide how both sides would proceed from the railheads to the reception areas within the demilitarized zone. Also to discuss the means of identification, use of vehicles in the proscribed areas, and ground rules for photographers and news correspondents. On 30 August 1954, the disinterment of all enemy deceased military personnel was completed, and all remains delivered and stored at “Glory Railhead,” near Munsan-Ni, North Korea. At 0930 the next day (September 1st) the Chief of KCOMZ Graves Registration Division met his North Korean counterpart at the reception area within the demilitarized zone and received the first 200 remains of deceased United Nations military personnel. At 1300 hours these remains were evacuated to “Glory Railhead,” where a ceremony was held. In attendance were several major figures from the United Nations Command, U.S. Far East Command, Military Armistice Commission, and representatives from the Republic of Korea Army. There were 416 American unknowns from the Korean war who were put to rest at the National Memorial Cemetery of the Pacific as a result of Operation Glory. Over the following years, the number of American unknowns from North Korea would grow to over 860. The National Memorial Cemetery of the Pacific is unique, it is the only cemetery in the National Cemetery Administration that has unknown Americans from Korea. At any given time, there are more than 1,000 active case files under investigation from areas throughout the world. 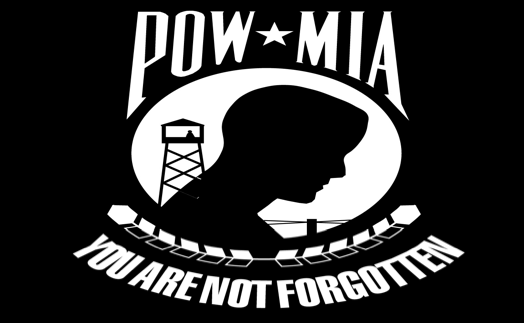 Approximately 74 POW/MIAs are identified, on average, per year. When a case is completed, the remains of the identified American are transferred to the appropriate service mortuary affairs office. Military members from these offices personally notify next-of-kin family members of the identification. We’re all familiar, now, with the nationally recognized symbol of the exemplary struggle to bring our service members home–the POW/MIA flag–the stark black and white banner symbolizing America’s Prisoners of War and Missing in Action. (2) as the symbol of our Nation’s commitment to achieving the fullest possible accounting for Americans who in the future may become prisoners of war, missing in action, or otherwise unaccounted for as a result of hostile action. When you see the POW/MIA flag please give some thought to those who have made the ultimate sacrifice and now are known only to God. I ask you never forget our special comrades, those who were prisoners, and those whose status is still unresolved. And our nation has not forgotten. Our nation never will. We are unwavering in our commitment to return to American soil any Americans taken prisoner of war or who are missing in action, or unaccounted for. As our Airmen, Soldiers, Sailors, Marines and Coast Guardsmen continue to serve our nation, we owe it to each and every one of them that we will never give up and never forget.